The majority of new oil and gas fields are concentrated in Siberia and northern Canada. The increase in extraction activity in these regions, along with the need to process the oil and gas locally, has resulted in a growing demand for temperature measurement solutions that can withstand low ambient temperatures. A specially designed low-temperature resistance thermometer – with a Pt100 sensor and cold-friendly materials – is ideal for monitoring and controlling processes in petrochemical plants located in Arctic climates. Standard temperature monitoring instruments are able to tolerate temperatures as low as −40°F (−40°C). That’s adequate for most oil and gas processes. However, measuring instruments operating around the Arctic Circle must be able to withstand temperatures of at least −76°F (−60°C). The challenge: finding a low-temperature resistance thermometer with the materials, components, and design that allow for reliable operation in extremely frigid environments. In industrial applications with extreme temperature conditions, users must determine if the application requires a transmitter to convert measurements into an interference-free output signal. If so, they must decide whether the transmitter should be integrated into the measuring instrument’s connection head or installed in a separate control room. A head-mounted transmitter is closer to the sensor, which minimizes the resistance signal’s susceptibility to failure. But when it is head-mounted in a frigid climate, the transmitter is directly exposed to temperatures that could cause failures if it is not robust enough. For better overall accuracy, the alternative is to install the transmitter in a separate control room set at a specified, less extreme temperature. But this method has its own drawback: The connections between the measuring point and the transmitter must be able to withstand the cold as. To counteract this problem, higher-quality instrumentation cable may be required. Users must also decide whether a local indication, such as a display, is required at the measuring point. Electrical thermometers with a liquid crystal display (LCD) suffer in extreme cold, as the crystals begin to freeze at ambient temperatures around −4°F (−20°C). When the temperature rises above this point, the display begins to function again. To work in Arctic climates, the display must be able to withstand temperatures down to at least −76°F (−60°C), and the instrument must be able to return to normal operation after the temperature rises. Add a second measuring point with a dial thermometer. Have a mechatronic measuring arrangement. The service life and functionality of a low-temperature resistance thermometer is determined by the behavior of the plastics used. As a rule of thumb, the lower the ambient temperature, the more brittle the plastic becomes. At a test temperature of −76°F (−60°C), standard plastics quickly reach their limits. The result? The device suffers extensive damage and no longer functions properly. Despite plastic’s temperature limitations, measuring instruments can’t completely avoid using this material. For example, the vast majority of seals and instrument cables are made of plastic. There are high-quality plastics robust enough to withstand temperatures down to −418°F (−250°C), but then one sacrifices the main reason plastic is used in the first place: elasticity. Apart from seals and instrument cables, other plastic components must also be considered, such as sealing compounds, adhesives, and painted surfaces. The electrical conductivity of these materials is also a consideration, particularly if the devices are used in hazardous areas. Metals can more easily withstand low ambient temperatures, but the trick is to pick the right metal for low-temperature environments. Aluminum is strong, lightweight, corrosion-resistant, and ductile. However, aluminum alloys do not perform well in drop tests; they exhibit more severe damage at low temperatures than they do at room temperature. For this reason, critical components like connection heads and cable glands are generally made of stainless steel. Aluminum alloys should be used only at those measuring points where impacts or shocks are not a factor. Resistance thermometers, also called resistance temperature detectors (RTDs), are highly popular temperature measurement devices due to their versatility, accuracy, repeatability, ease of installation, and relatively wide measuring range. For applications in Arctic climates, RTDs with a Pt100 sensor can measure temperatures as low as −328°F (−200°C). In addition, the Pt100 sensor offers the best quality for reliable temperature measurement and stability, and is optimized for frigid conditions. 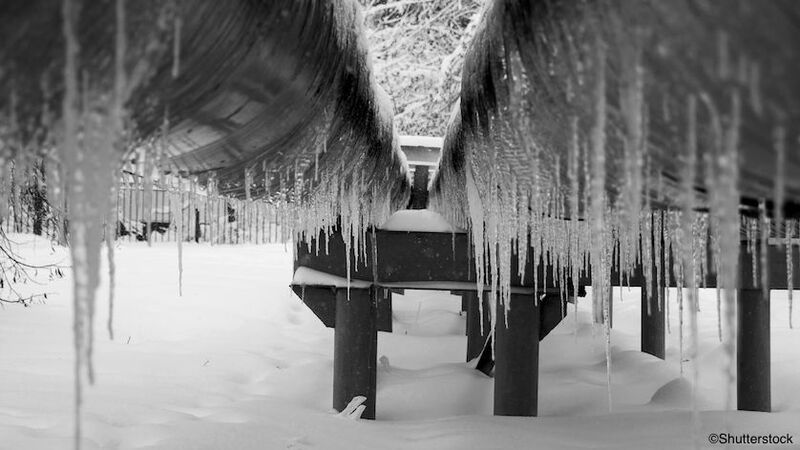 WIKA USA is a leading provider of comprehensive temperature monitoring solutions, including low-temperature resistance thermometers made of materials and sensors that can withstand the extremely cold environments of Siberia and northern Canada. To find the right temperature measurement devices for your application, contact WIKA today.